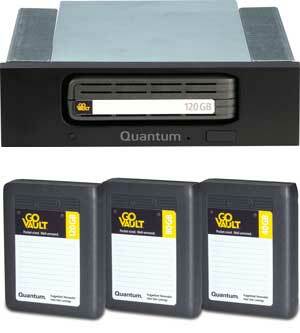 The GoVault combines the benefits of a hard drive and a tape drive into one device. or efficient to do so, much as administrators may wish otherwise. it comes time to recover a file. port or a peripheral card. the BIOS per your PC's setup instructions. drive in your drive list. capacity than any other removable media. hard drive with that interface. which can sometimes take hours.